Explanation: Lying just at the limit of human perception is a picturesque starfield containing one of the larger open clusters on the northern sky. Spanning an angle larger than the Moon, M39's relatively few stars lie only about 800 light years distant toward the constellation of Cygnus. 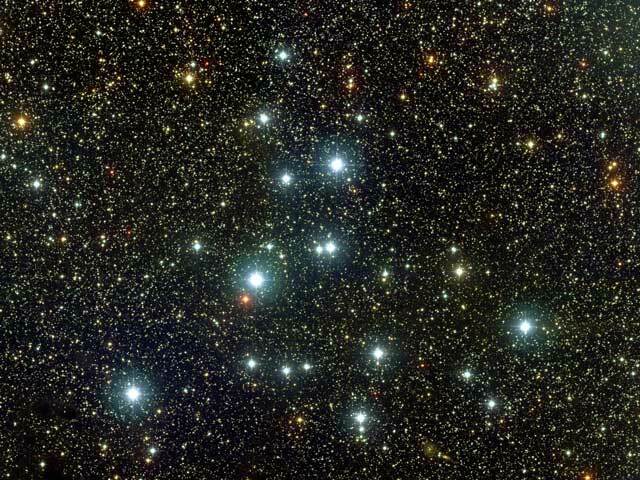 The above picture of M39 is a mosaic of 33 images taken by the WIYN telescope on Kitt Peak in Arizona, USA. The stars in M39 are all about 300 million years old, much younger than the 5000 million years of our Sun. Open clusters, also called galactic clusters, contain fewer and younger stars than globular clusters. Also unlike globular clusters, open clusters are generally confined to the plane of our Galaxy.